MOURINHO ON BALOTELLI: "I'd like to work with him again"
The rumour mill is rife today featuring Chelsea and any potential moves for strikers in the summer. Earlier, I have posted up the Van Persie link and now Jose Mourinho himself has talked up a move for Mario Balotelli. Mourinho has signed up with Yahoo for the World Cup this summer and has been featured in their first interview published a short time ago. In that interview the Special One has spoken of Balotelli and any potential opportunity to work with him again. "In football you never know the future. Balotelli is with a big club at the moment but you never know the future. They want to keep the best players and want to keep the best Italian players. But Mario has already been in English football before. I'm not going to be manager of Milan or the Italy national team, but he's a good kid and somebody I'd like to work with again." You have to admit his comments will lead to plenty of speculation between now and the end of the season but it's because Mourinho has stated this on record that I am blogging about it now. It has substance! "Of course I would like to play under Jose again. In my first days at Inter we had some problems, but then it turned into a mutual respect, and now we have a real friendship. It is never boring playing under Jose. When you are in Mourinho's team it is a family and he coaches on the principal that if all is well with the family it doesn't matter what is going on outside the team." Sounds like quite a love-in between them these days doesn't it! 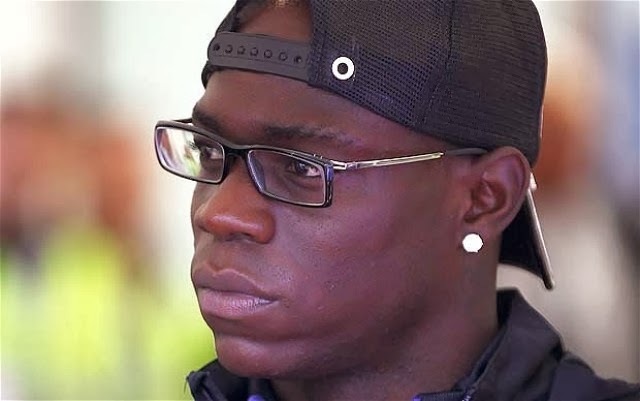 So what do you people make of Balotelli as a footballer and his quality? At the age of 23, could be someone that would fit into Mourinho's plans for next season?